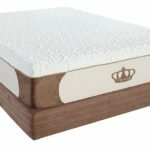 Is Nectar Really The Top Rated Bed For 2019? Nectar mattresses weren’t the first to make a memory foam mattress, but they make one of the best ones on the market. 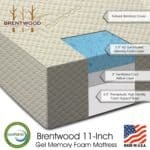 This mattress has found a way to be a perfect medium when it comes to memory foam mattresses. The 11 inch thick mattress provides just the right amount of support while still providing the comfort you would expect from any high end mattress. 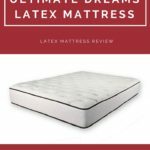 Not only that but the price of a Nectar mattress is very affordable and way lower than a comparable one like Temperpedic. There are many things that make Nectar mattresses one of the best to buy. They are very well constructed, have a lifetime warranty, and Nectar also offers one of the longest sleep trials in the industry. If you are a side sleeper, the firmness of the mattress will be good for you. It will give you enough support while still giving enough pressure relieve. It contours to your body extremely well helping relieve pressure on your shoulders and body. Also, for those of you that are restless sleepers, the mattress does a very good job isolation motion so you won’t disturb the person sleeping with you. If you are a hot sleeper, the Nectar is a great choice. The material used and how it is constructed is all designed to help transfer heat away from you and keep you cool. No more waking up from a hot mattress in the middle of the night. How Are Nectar Mattresses Made? 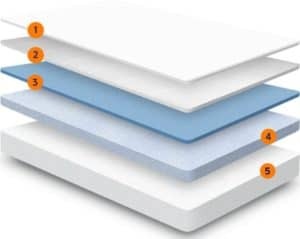 The nectar mattress is made up of 5 different layers. The top layer is a fully removable layer. This quilted layer provides comfort along will helping keep you cool while you sleep. It then has a 1 inch 4lb gel memory foam layer. This layer is designed to distribute heat along with with maintain it’s original shape. After that, there is a medical grade 3 inch 3.5lb memory foam layer . The base layer of the mattress consists of a 2.2lm high density foam. Also, the material making up the bed is bed bug resistant so you don’t have to worry about sleeping in a bed of bugs. Tencel Cooling Cover – This layer is designed to help circulate are and move heat away from you while you sleep. It is also bedbug resistant, so you never have to worry about sleeping in a bed of bugs. 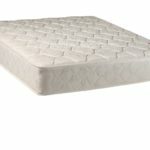 Quilted Gel Memory Foam – This quilted layer of gel memory foam provides extra comfort and loft. The nature of the quilting also helps for better breathability in the mattress which in turn help regulate heat. For people that sleep hot, this is definitely an added bonus in keeping you cooler. Gel Memory Foam – Nectar uses their patented Lush Foamtm. This gel memory foam is designed to distribute heat and hold it’s original shape. Adaptive Hi Core Memory Foam – This is a heavier foam designed to give you the support you need. This layer provides what is needed to relieve the pressure points created when sleeping. Breathable Base Layer – This layer is the densest layer providing the majority of support. 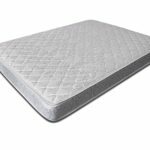 The foam is rated at 2.2+ ILD while most other mattresses are only rated at 1.5 ILD or less. This base layer is also constructed with special molded channels in it to allow fresh air to flow through it helping with cooling. How Is The Mattress Support? Nectar mattresses are a medium firm mattress. Unlike other company, Nectar only has one firmness level for their mattresses. This however, isn’t too much of a negative. 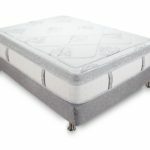 The mattress support is a good balance to give your body the right about of support while still molding to your body. Some people may find the bed a little firm but would probably be perfect for heavier people and side sleepers. The mattress is designed to give you long term support and optimum comfort. What Can I Use This Mattress With? These mattresses are can be used in almost any type of bed frame including adjustable frames. It is possible to use the mattress directly on the floor but it is not recommended. 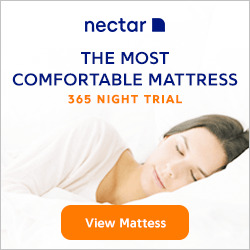 One of the greatest things about Nectar mattresses is their sleep trial. You can never know how well a mattress is going to work for you unless you spend the time in it. Shopping in a store doesn’t make this possible because you probably only will lay on a bed for a few minutes. When buying online, there is no way for you to really test the bed. That is why their sleep trial is so great. Nectar offers a 365 day trial which is one of the longest in the industry. What does that mean? That means that you get an entire year to “try” out the mattress. If you don’t like it for whatever reason, they will pick up the mattress from you at no charge and refund your money. Besides the amazing sleep trial, Nectar has one of the best warranties. While most mattress companies only have a 10 – 15 year warranty, Nectar has a lifetime warranty. If your mattress ever breaks from normal use, they will replace it for free. That’s pretty amazing. On top of that, if there are areas that have compressed more than 1.5 inches that are not uncompressing, they will replace the mattress. One of the biggest questions people have before buying a foam mattress is if it smells. As with any memory foam based mattress, there will initially be a smell. The new mattress smell, kind of like a new car smell. This smell is called off-gassing and is caused by the foam and how it is made. Nectar mattresses don’t have much of a smell due to their high quality construction. If there is any smell coming from the mattress, it should disappear within a few days ones it has a chance to breath. Most people don’t really realize what they are sleeping on. Did you think of how the bed was made before you layed down on it? 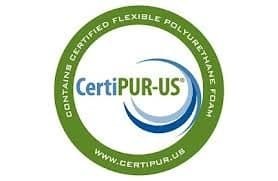 If you are worried about what you are laying on, nectar mattresses are Certipure certified. This means that they are free from harmful gasses and chemicals. The beds don’t have VOC (Volatile Organic Compounds), flame retardants, or heavy metals making it one of the healthier memory foam mattresses to sleep on. Shipping – How do I get this? Being an online store, this mattress will be shipped and delivered to your door step. They arrive in a box vacuum sealed and rolled up. You don’t have to worry about trying to strap a bed on top of you car anymore. 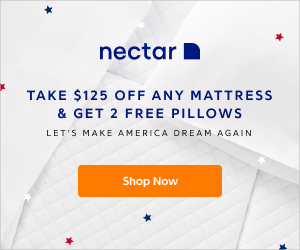 Overall, Nectar makes one of the best memory foam mattresses on the market. The overall comfort and support satisfies most everyone. On top of that, the lifetime warranty guarantees you a good mattress. Finally, the year long sleep trial pretty much makes it a no brainer. Try it out and if you don’t like it, you can return it for an entire year. With all of these things, I would put this mattress as one of the best to buy in 2018. Use coupon SALE125 at checkout and get $125 OFF & 2 FREE pillows with your purchase.